Good location. 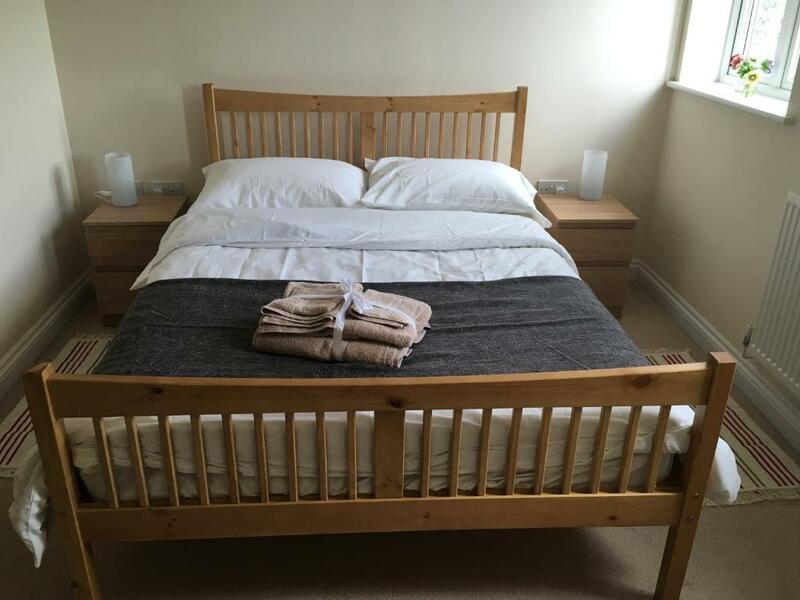 Comfortable beds and good value for money. For 2 couples it was excellent value. Had everything we needed. 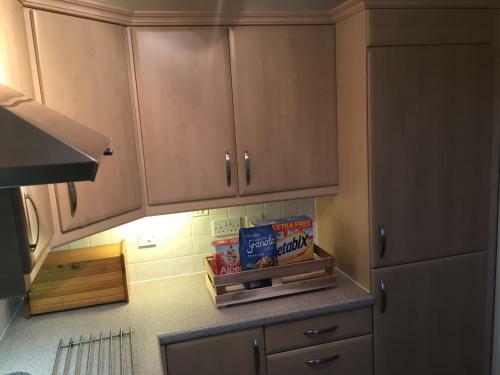 2 bedrooms, 2 bathrooms, WiFi, kitchen and parking. We met no one over our 2 day stay but the arrival process was straightforward as the owners provided lots of information. Good location, 5 minutes walk into town, 10 minutes to Tesco. Large, airy rooms, ensuite a bonus when travelling with friends, meant we had a bathroom each. Beds were comfortable, kitchen well equipped. 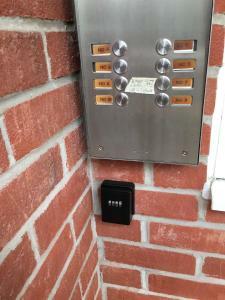 Communication from owners was excellent with lots of information regarding the surrounding area and the instructions for obtaining the keys were very clear. Just a thought - perhaps it would be an idea to attach the WiFi code to the hub, or leave a folder with this and other information regarding the property on the table. The location is great, the ease of checking in and getting the key and the really nice touch of providing basic food items in the kitchen was great. Fantastic.Beats staying in an hotel.Clean comfy and great value.will be using again. The flat is spacious,very clean and comfortable. As we were staying over the Christmas holidays our host very kindly put up a Christmas tree for us which was a very nice touch. 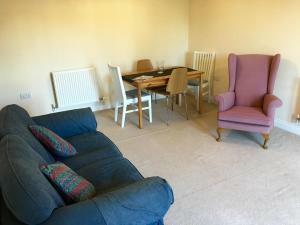 The flat is in a great location just a five minute walk into Hungerford. Very good value. Spacious, very comfortable and with all the essentials we could ever need. Kitchen well equipped and nice to have a few essentials on arrival. Two bathrooms is a bonus. Very quiet but within a minutes walk of shops, cafes and the lovely canal. The owner was very responsive both before and during the stay. There was milk in the fridge and some bits for breakfast. Lock in a great price for Meadowview – rated 8.9 by recent guests! The apartment has 2 bedrooms and 2 bathrooms with a hair dryer. A flat-screen TV is provided. Reading is 27 miles from the apartment, while Swindon is 20 miles from the property. The nearest airport is Southampton Airport, 45 miles from the property. This property also has one of the top-rated locations in Hungerford! Guests are happier about it compared to other properties in the area. 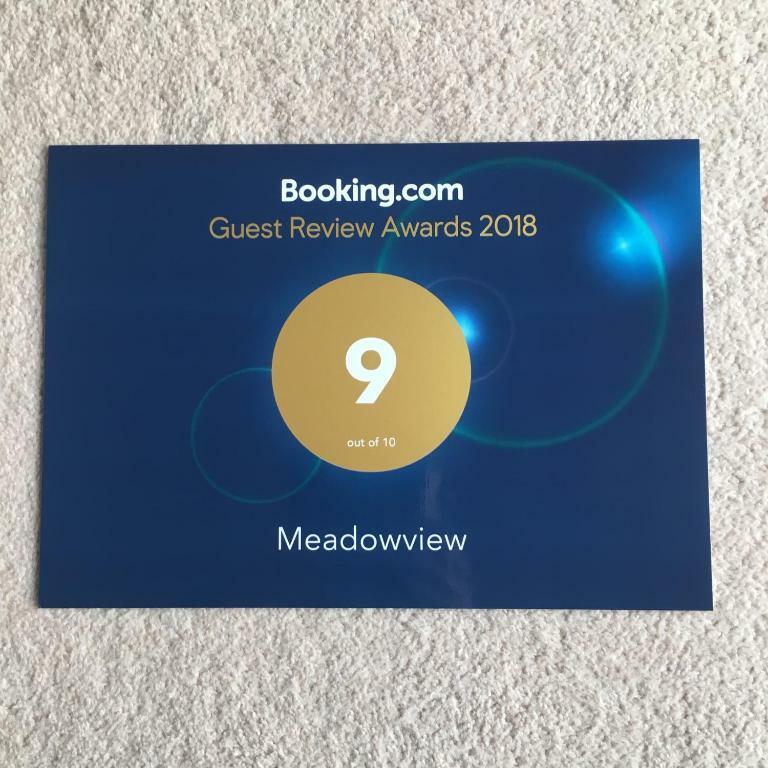 When would you like to stay at Meadowview? This apartment has a washing machine and toaster. 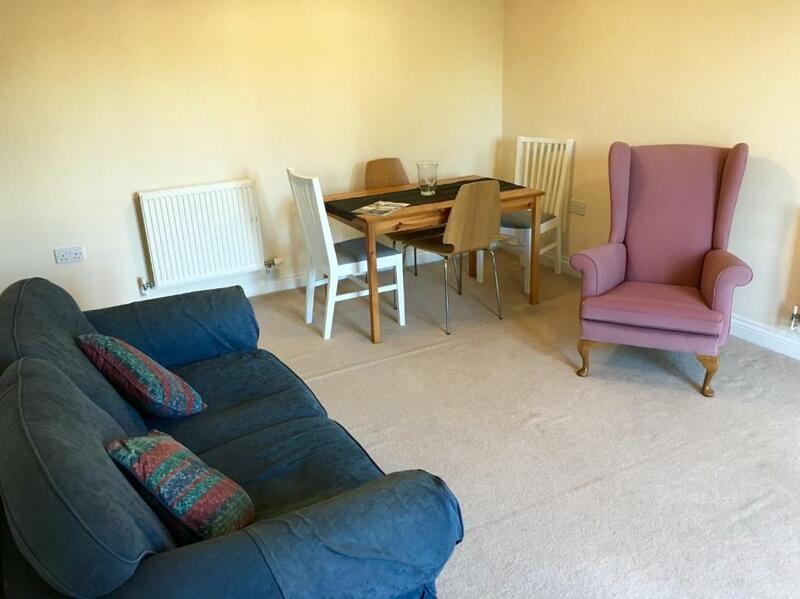 Meadowview is an apartment that is close to the tranquil and rural town of Hungerford in Berkshire. 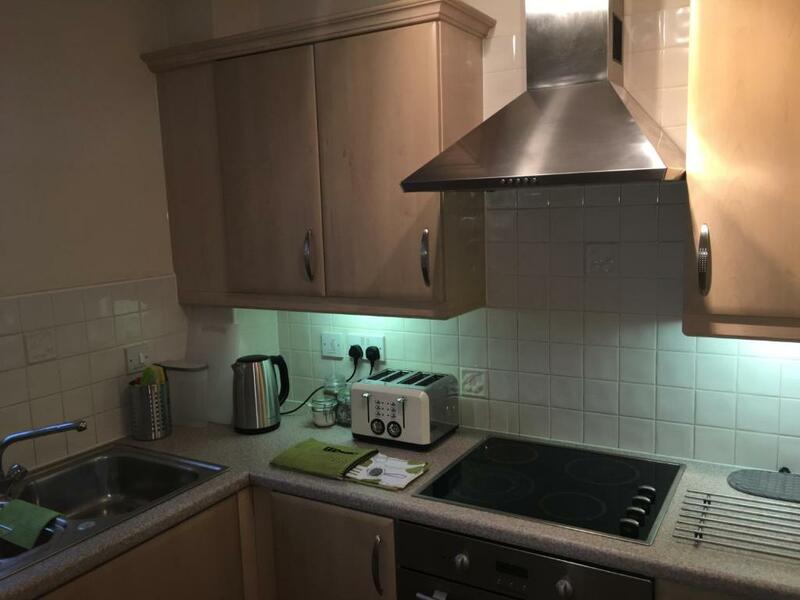 You'll love the place because it's just minutes away from the High Street and rail station. We are also only a few minutes (5-10) from the M4 motorway junction 14. 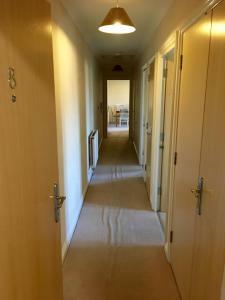 With two spacious bedrooms in a modern apartment, the main bedroom has an en-suite shower room. The second floor flat has a well stocked kitchen, gas radiator central heating and we provide a free car parking space. We can accommodate up to six if two are on the sofa bed but will be cosy!! 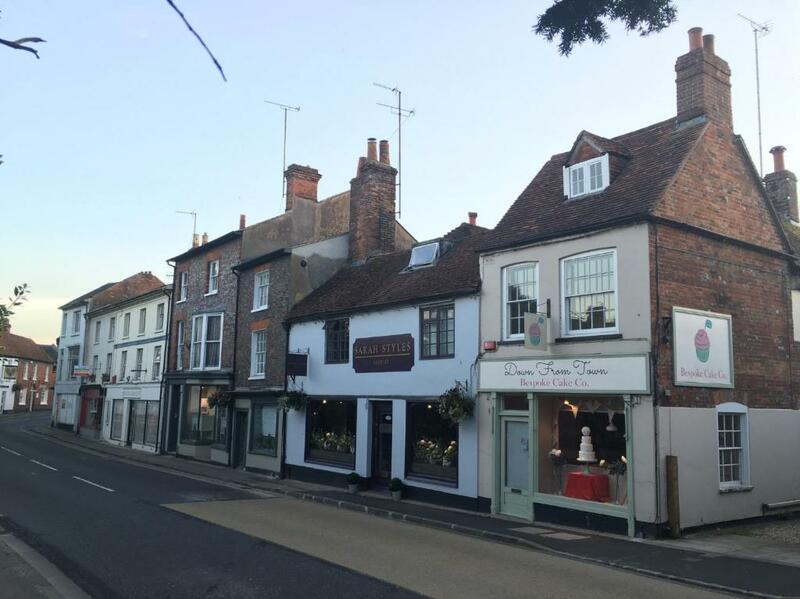 Located in the heart of the North Wessex area of outstanding natural beauty, Hungerford offers beautiful independent shops and cafes. the cities of Oxford and Bath less that an hour away and the popular Stonehenge around 30'mins drive. Of course London is accessible by motorway or rail. London Heathrow is just 50 mins from Hungerford. House Rules Meadowview takes special requests – add in the next step! Booking.com takes your payment on behalf of the property for this reservation. During your stay, you can pay for any extras using Visa, ​Euro/Mastercard, ​Maestro, ​Solo and UnionPay credit card . Please inform Meadowview of your expected arrival time in advance. You can use the Special Requests box when booking, or contact the property directly using the contact details in your confirmation. The apartment is in serious need of a refresh. I was quite disappointed after reading such good reviews about it. The bathroom floors are carpet and soggy and musty smelling. The carpet throughout needs to be replaced. The furniture is dated and the seats falling through on the arm chair. The walls throughout the apartment could do with a wash at the very least and even a repaint. The bench top needed a really good wipe down (I cleaned it on arrival and the cloth was filthy). The fridge has broken shelves and mould growing where the door shelf is broken. There was broken glass and a battery in the washing machine. The dryer function on the washing machine didn’t work. The heating wasn’t working (which we were told about the day before arrival. It wasn’t a huge issue but no discount or the option of a space heater was offered). Because the dryer didn’t work and the heating wasn’t working we couldn’t dry any of the clothes we washed. There is an old clothes airer buried under rubbish in the hall cupboard but it’s covered in rust - so unless you like rust stains on your clothes it’s useless. The table runner on the dining table had food spills on it. Pretty certain the bedding for the sofa bed had also not been washed since last use as parts of it smelled very heavily of perfume. It was also just folded and dumped on the floor inside the wardrobe. The spare pillows had no pillow slips and had blood stains on them. If it hadn’t been for the location and ease of check in the rating would be far lower I’m afraid. Very disappointed with this stay. The property is well located within walking distance to shops and pubs, and a short drive to many sites to see. It has a second bathroom which is always nice when travelling with 3 smelly boys. The bedding was warm on two rather cold nights. Little enough. I thought the decor a little bland and don't like carpets in bathrooms. Some storage in the second bedroom and a few hooks and shelves in the bathrooms would help. Boiler seemed to have a mind of its own - did not worry us as it was quite warm when we stayed, but would need to be addressed for the winter. Maybe a larger TV in the living room, but did not detract from the stay. Perhaps the furniture & bathrooms a little tired, but that is being very picky. The towels were very small and hard and no hand towels. No shower gel or shampoo only hand wash. A bit of milk would have been good so we could have had a cup of tea on arrival. We did tell the owner this, but haven't heard back. The carpets were tired, there was a smell of damp from both bathrooms and the wardrobes were full of junk and old smelly bedding. Excellent location, spacious, warm and immaculately clean, with everything you need for a short stay. Communication with the owners (via email) was very comprehensive and clear. Would definitely stay again. The main bathroom could do with a bin and the mixer tap on the shower didn't appear to work. Maybe could do with a new Hoover?